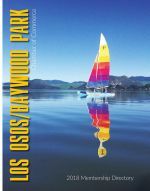 Los Osos/Baywood Park Chamber of Commerce invites residents of Los Osos, Baywood Park and beyond to savor tasty food and beverages provided by an amazing group of local restaurants at the Festival of Flavor. Many of our local favorites will be on hand at this food showcase being held, Thursday, May 30th from 5 to 7:30 pm at the South Bay Community Center. Tickets will be available for purchase for $15 a person, $20 at the door for all tastings. All beverages including wine and beer will be available for purchase during the event. Children under 13 are free.